Despite the chaos and ugliness of the past seven months, President Trump has finally begun to turn U.S. foreign policy away from the neoconservative approach of endless war against an ever-expanding roster of enemies. This change has occurred largely behind the scenes and has been obscured by Trump’s own bellicose language, such as his vow to “win” in Afghanistan, and his occasional lashing out with violence, such as his lethal Tomahawk missile strike on a Syrian airfield. Some Trump advisers also have downplayed the current shift because it may fuel the Democrats’ obsession with Russia-gate as a much-desired excuse to impeach Trump. Every peaceful move that Trump makes is called a sop to Russia and thus an excuse to reprise the dubious allegations about Russia somehow helping to elect him. Yet, despite these external obstacles and Trump’s own erratic behavior, he has remained open to unconventional alternatives to what President Obama once criticized as the Washington “playbook,” i.e. favoring military solutions to international problems. In this sense, Trump’s shallow understanding of the world has been a partial benefit in that he is not locked into to the usual Washington groupthinks – and he personally despises the prominent politicians and news executives who have sought to neuter him since his election. But his ignorance also prevents him from seeing how global crises often intersect and thus stops him from developing a cohesive or coherent doctrine. Though little noted, arguably the most important foreign policy decision of Trump’s presidency was his termination of the CIA’s covert support for Syrian rebels and his cooperation with Russian President Vladimir Putin to expand partial ceasefire zones in Syria. By these actions, Trump has contributed to a sharp drop-off in the Syrian bloodshed. It now appears that the relatively secular Syrian government of President Bashar al-Assad is regaining control and that some Syrian refugees are returning to their homes. Syria is starting the difficult job of rebuilding shattered cities, such as Aleppo. But Trump’s aversion to any new military adventures in Syria is being tested again by Israeli Prime Minister Benjamin Netanyahu, who is threatening to attack Iranian and Hezbollah forces inside Syria. Last week, according to Israeli press reports, a high-level delegation led by Mossad chief Yossi Cohen carried Netanyahu’s threat to the U.S. government. The Israeli leader surely has raised the same point directly in phone calls with Trump. 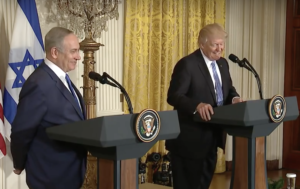 I was told that Trump, who appears to be growing weary of Netanyahu’s frequent demands and threats, flatly objected to an Israeli attack and brushed aside Israel’s alarm by noting that Netanyahu’s policies in supporting the rebels in Syria contributed to Israel’s current predicament by drawing in Iran and Hezbollah. This week, Netanyahu personally traveled to Sochi, Russia, to confront Putin with the same blunt warning about Israel’s intention to attack targets inside Syria if Iran does not remove its forces. Still, a major Israeli attack on Iranian positions inside Syria would test Trump’s political toughness, since he would come under enormous pressure from Congress and the mainstream news media to intervene on Israel’s behalf. Indeed, realistically, Netanyahu must be counting on his ability to drag Trump into the conflict since Israel could not alone handle a potential Russian counterstrike. But Netanyahu may be on somewhat thin ice since Trump apparently blames Israel’s top American supporters, the neocons, for much of his political troubles. They opposed him in the Republican primaries, tilted toward Hillary Clinton in the general election, and have pushed the Russia-gate affair to weaken him. President Obama faced similar political pressures to fall in line behind Israel’s regional interests. That’s why Obama authorized the covert CIA program in Syria and other aid to the rebels though he was never an enthusiastic supporter – and also grew sick and tired of Netanyahu’s endless hectoring. Obama acquiesced to the demands of Official Washington’s neocons and his own administration’s hawks – the likes of Secretary of State Hillary Clinton, CIA Director David Petraeus, his successor John Brennan, and United Nations Ambassador Samantha Power. The Syrian conflict was part of a broader strategy favored by Washington’s neocons to overthrow or cripple regimes that were deemed troublesome to Israel. Originally, the neocons had envisioned removing the Assad dynasty soon after the invasion of Iraq in 2003, with Iran also on the “regime change” menu. But the disastrous Iraq War threw off the neocons’ timetable. The Democratic Party’s liberal interventionists, who are closely allied with the Republican neocons, also tossed in Libya with the overthrow and murder of Libyan leader Muammar Gaddafi in 2011. Then, weapons from Gaddafi’s stockpiles were shipped to Syria where they strengthened rebel fighters allied with Al Qaeda’s Nusra Front and other Islamist groups. Faced with this troubling reality – that the U.S.-backed “moderate rebels” were operating side by side with Al Qaeda’s Syrian affiliate and its allies – Washington’s neocons/liberal-hawks responded with sophisticated propaganda and devised clever talking points to justify what amounted to indirect assistance to terrorists. The “regime change” advocates portrayed a black-and-white situation in Syria with Assad’s side wearing the black hats and various anti-Assad “activists” wearing the white hats (or literally White Helmets). 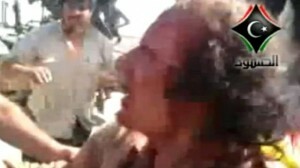 The State Department and a complicit mainstream media disseminated horror stories about Assad and – when the reality about Al Qaeda’s role could no longer be hidden – that was spun in the rebels’ favor, too, by labeling Assad “a magnet for terrorists” (or later in cahoots with the Islamic State). For years, such arguments were much beloved in Official Washington. But the human consequences of the Syrian conflict and other U.S.-driven “regime change” wars were horrific, spreading death and destruction across the already volatile Middle East and driving desperate refugees into Europe, where their presence provoked political instability. By fall 2015, rebel advances in Syria – aided by a supply of powerful U.S. anti-tank missiles – forced Russia’s hand with Putin accepting Assad’s invitation to deploy Russian air power in support of the Syrian army and Iranian and Hezbollah militias. The course of the war soon turned to Assad’s advantage. It’s unclear what Hillary Clinton might have done if she had won the White House in November 2016. Along with much of the U.S. foreign policy establishment, she called repeatedly for imposing a “no-fly zone” in Syria to stop operations by the Syrian air force and Russia, a move that could have escalated the conflict into World War III. But Trump – lacking Official Washington’s “sophistication” – couldn’t understand how eliminating Assad, who was leading the fight against the terrorist groups, would contribute to their eventual defeat. Trump also looked at the failure of similar arguments in Iraq and Libya, where “regime change” produced more chaos and generated more terrorism. However, in the early days of his presidency, the unsophisticated Trump lurched from one Middle East approach to another, initially following his son-in-law Jared Kushner’s grandiose thinking about recruiting Saudi Arabia to an “outside-in” strategy to settle the Israel-Palestine conflict, i.e., enlisting the Saudis to pressure the Palestinians into, more or less, letting Israel dictate a solution. Kushner’s “outside-in” scheme was symbolically acted out with Trump making his first overseas visit to Saudi Arabia and then to Israel in May. 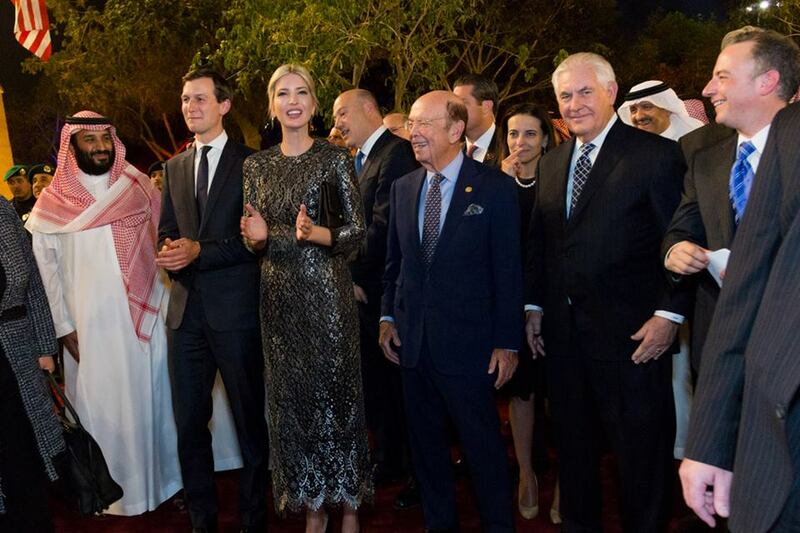 But I’m told that Trump eventually cooled to Kushner’s thinking and has come to see the Israeli-Saudi tandem as part of the region’s troubles, especially what he views as Saudi Arabia’s longstanding support for Al Qaeda and other terror groups. Perhaps most significantly in that regard, Trump in July quietly abandoned the CIA’s covert war in Syria. In the U.S., some “regime change” advocates have complained about this “betrayal” of the rebel cause and some Democrats have tried to link Trump’s decision to their faltering Russia-gate “scandal,” i.e., by claiming that Trump was rewarding Putin for alleged election help. But the bottom line is that Trump’s policy has contributed to the Syrian slaughter abating and the prospect of a victory by Al Qaeda and/or its Islamic State spinoff fading. So, there has been a gradual education of Donald Trump, interrupted occasionally by his volatile temper and his succumbing to political pressure, such as when he rushed to judgment on April 4 and blamed the Syrian government for a chemical incident in the remote Al Qaeda-controlled village of Khan Sheikhoun. Despite strong doubts in the U.S. intelligence community about Syria’s guilt – some evidence suggested one more staged “atrocity” by the rebels and their supporters – Trump on April 6 ordered 59 Tomahawk missiles fired at a Syrian air base, reportedly killing several soldiers and some civilians, including four children. As reckless and brutal as Trump’s missile strike was, it did provide him some cover for his July 7 meeting with Putin at the G-20 summit in Germany, which focused heavily on Syria, and also for his decision to pull the plug on the CIA’s covert war. I’m told Trump also has returned to his pre-election attitude about Saudi Arabia as a leading supporter of terror groups and a key provocateur in the region’s disorders, particularly because of its rivalry with Iran, a factor in both the Syrian and Yemeni wars. Though Trump has recited Washington’s bipartisan (and benighted) mantra about Iran being the principal sponsor of terrorism, he appears to be moving toward a more honest view, recognizing the falsity of the neocon-driven propaganda about Iran. 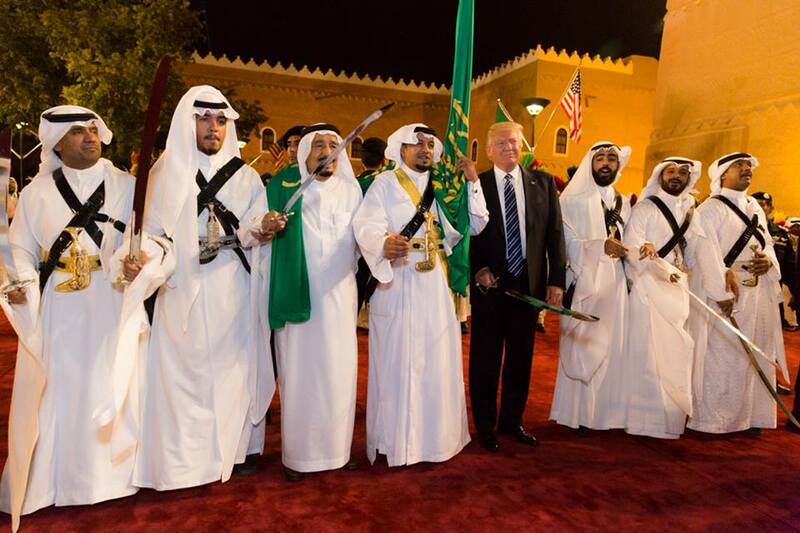 Trump’s new coolness toward Saudi Arabia may have contributed to the recent warming of relations between the Sunnis of Saudi Arabia and the Shiites of Iran, a sectarian conflict dating back 1,400 years. In a surprising move announced this week, the two countries plan an exchange of diplomatic visits. Even in areas where Trump has engaged in reckless rhetoric, such as his “fire and fury” warning to North Korea, his behind-the-scenes policy appears more open to compromise and even accommodation. In the past week or so, the tensions with North Korea have eased amid backchannel outreach that may include the provision of food as an incentive for Pyongyang to halt its missile development and even open political talks with South Korea, according to a source close to these developments. On Afghanistan, too, Trump may be playing a double game, giving a hawkish speech on Monday seeming to endorse an open-ended commitment to the near-16-year-old conflict, while quietly signaling a willingness to negotiate a political settlement with the Taliban. One alternative might be to accept a coalition government, involving the Taliban, with a U.S. withdrawal to a military base near enough to launch counterterrorism strikes if Al Qaeda or other international terror groups again locate in Afghanistan. Many of Trump’s latest foreign policy initiatives reflect former White House strategist Steve Bannon’s hostility toward neoconservative interventionism. Secretary of State Rex Tillerson, the former Exxon-Mobil chief executive, also shares a more pragmatic approach to foreign affairs than some of his more ideological predecessors. Albeit still in their infancy, these policies represent a new realism in U.S. foreign policy that, in many ways, paralleled what President Obama favored but was often unwilling or unable to see through to its logical conclusions, given his fear of Netanyahu and the power of the neocons and their liberal-hawk allies. Still, some of Obama’s most important decisions – not to launch a major military strike against Syria in August 2013 and to negotiate an agreement with Iran to constrain its nuclear program in 2013-15 – followed a similar path away from war, thus drawing condemnation from the Israeli-Saudi tandem and American neocons. As a Republican who rose politically by pandering to the GOP “base” and its hatred of Obama, Trump rhetorically attacked Obama on both Syria and Iran, but may now be shifting toward similar positions. Gradually, Trump has come to recognize that the neocons and his other political enemies are trying to hobble and humiliate him – and ultimately to remove him from office. The question is whether Trump’s instinct for survival finally will lead him to policies that blunt his enemies’ strategies or will cause him to succumb to their demands.